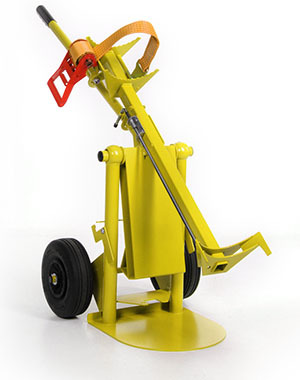 The argonlifter is a unique cylinder trolley for transporting heavy Argon and Argon mixed gas cylinders from the storage rack to the welding machine. Once at the welding machine the Argon lifter has a clever pivot system that allows the operator to place the cylinder onto the welding machine cylinder carrier, with very little effort. A large size gas cylinder weighs in the region of 80 kg and the " bear hug" tecnique has been one of the only ways to lift the cylinder onto the welding set. Manual handling regs recommend a maximum of 25kg weight for a man. 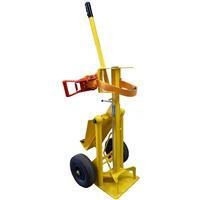 The Argonlifter is a low cost safe lifting aid that takes away any health and safety issues. To see how easy the Argon Lifter is to use please see our product video.